According to Lynne McChristian of the Insurance Information Institute, insurance policies with 100 percent coverage and no exclusions would not only be difficult to price, but difficult for a small business to afford. That makes sense, right? So then why is it that auto insurance prices and coverage seem to be shrouded in mystery? As a small business owner, unless you know which questions to ask, you may be struck by a harsh reality when you make a claim. Never expect your agent to tell you everything; there are several loopholes that may not be disclosed when you sign your policy documents. You’re driving a company vehicle along the highway and the guy in front of you is creeping along, 10 miles an hour below the posted speed limit. You pass him and cut him off to teach him a lesson. You brake check him, causing him to smash into the back of your car. He’s going to get sighted for failing to maintain a clear distance, and you’re going to get paid, right? Wrong. When damage done to a vehicle is intentional, as is often the case in road rage incidents, the insurance companies exclude that damage from policy coverage. You use your car for transportation on a daily basis. You drive to work, you carpool, you drive to school and back; there are a variety of reasons that you utilize your vehicle. What happens, then, when you use your vehicle to transport others? The answer is nothing if it’s done on a routine basis. However, if you use your vehicle to take neighbors to and from the store every day, transport goods or property, you better make sure that you have a commercial auto policy. Companies exclude coverage when they can consider you a livery driver. If you use the vehicle for small business purposes, you need a commercial policy. In most instances, your auto policy is attached to your car, not your small business. This means that if you loan your car to a friend and he gets into an accident, your collision coverage will pay for the damages. On the other hand, if you drive your friend’s car and he only has liability coverage, any accident you cause will see you personally sued in court. Read the fine print of your policy carefully when it comes to unlisted drivers. If you are upside down on your loan and total your vehicle, expect to be paying for a car that you can’t drive if you don’t have gap coverage. 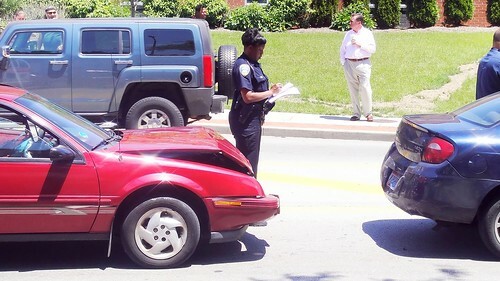 When your car is totaled, the insurance company will pay fair market value, not the entirety of your loan. Gap coverage is designed for these situations. If you live in an area where the deer run the streets or large hail storms are common, you better have comprehensive coverage. Without it, you will be driving a dinged up, dented up car until you can afford to pay for the repairs out of your pocket. Comprehensive coverage will allow you to get your car repaired whether a squirrel chews through your cables or a tree jumps out in front of you during a snow storm. 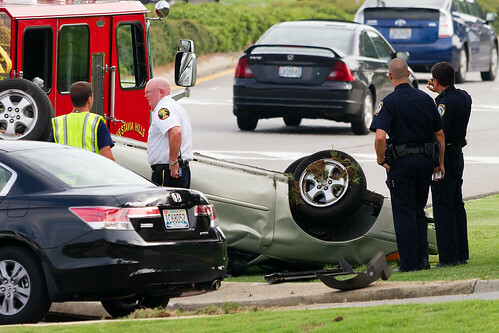 It’s up to you to educate yourself when it comes to auto insurance. Assuming that you are covered is a mistake. Ask your agent exactly what is covered and exactly what is excluded. If you wait for him to tell you, you will never get the information that you’re looking for. I am a contributor for Knighty Media -- a digital publishing media -- focusing on niches about college and education, career, finance, wedding, travel, technology, health and relationship. All of my articles are unique, Copyscape-approved, and never posted on the web.